The Magneto Design Lab 2-5-SC. Mixed Magnet Strat Singles Coils. Smooth yet dynamic is best way to describe the 2-5-SC. Each bobbin uses two different magnets, Alnico 2 for the un-wound strings & Alnico 5 for the wound strings. The result is smooth tone and slightly lower output for the un-wound strings, and a snappy tone and slightly higher output for the wound strings. 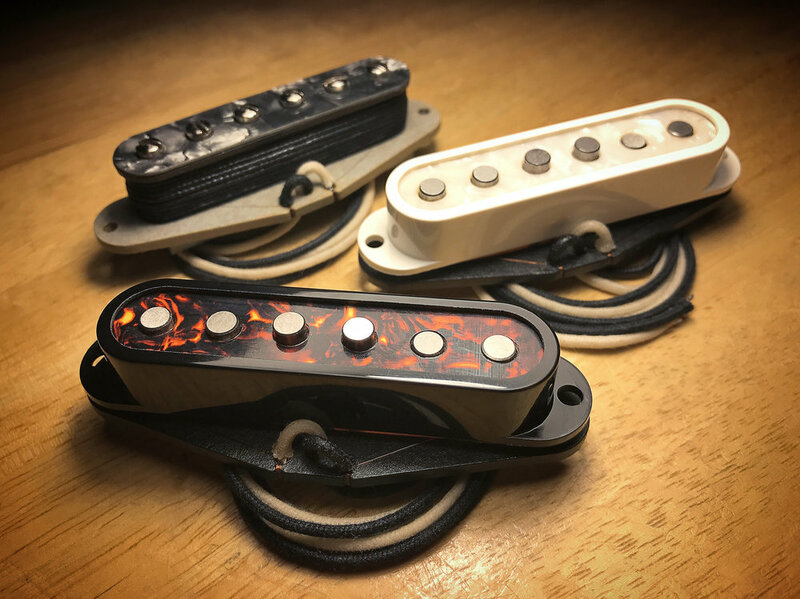 Clear and balanced in a matched set, they are even better when paired with our Strat Wiring Harness or Treble Bleed Serial Circuit. Or expand your tonal possibilities and mix them with a '57-EJ, FBH-’63 or Mini-'58 in an HSS set. From articulate Jazz cleans, to Country & Rock leads, the 2-5-SC is a balanced and versitile single coil.